A family team devoted to animals, Precious Paws is made up of Head Groomer Melissa and ex-army Dog Trainer and Handler, Leon, who undertakes our boarding and sitting services. An ex-primary school teacher and County Council SEND specialist, Melissa cherishes the bond she has with animals above all. This has inspired her to fulfil her life-long dream to share and instill her passion and expertise with fellow animal-lovers in Surrey and the surrounding areas. 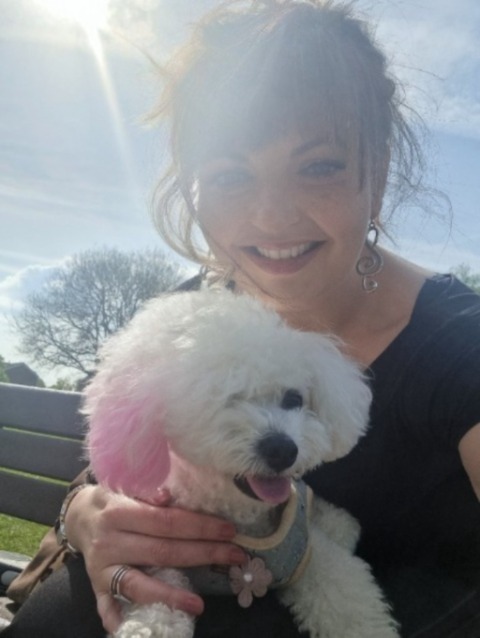 Trained in London by J. Lalou, L.C.G.I, Melissa holds a Level 3 City and Guilds Dog Grooming qualification alongside qualifications in Canine First Aid and Canine Behaviour and Psychology so that you can be sure that your dog is in the best possible hands. A warm, caring personality, Melissa brings a calm, comforting and full-of-love approach to all animals and truly believes in delivering the best possible service to every pet and family that she meets. A member of the British Dog Groomers Association, Pet Industry Federation and International Professional Groomers Inc (Studying for her International Master Groomer Certificte), Melissa believes in upholding the highest quality and care in her grooming practise. Leon comes from a military background of dog training, dog handling and personal physical training. 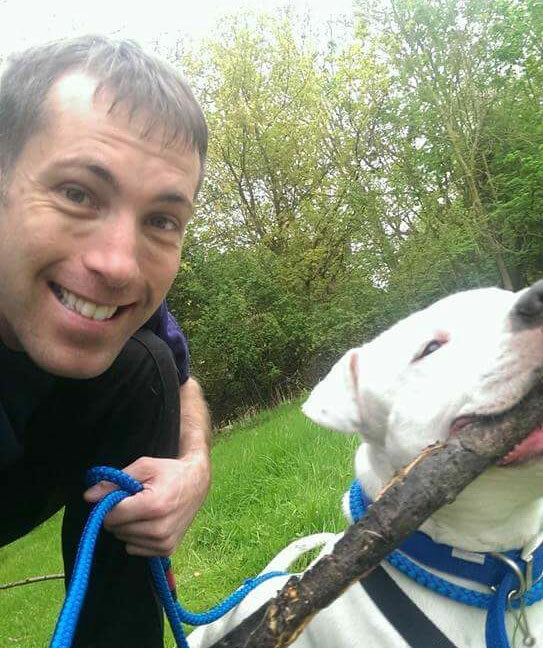 He has experience with a wide range of temperaments and breeds through his work with handling and training sniffer dogs in the British Armed Forces and through extensive voluntary work with Battersea Dogs Home. Leon has a kind, caring and compassionate nature and brings a comprehensive understanding of dogs’ physical and emotional needs to our clients. We understand the need for simplicity in today’s hectic lifestyles. We can bring our grooming and spa to your front door to help minimise your stress. All we ask is that we can connect to your electricity supply and are able to park. Your dog’s comfort and well-being is the most important thing to us at Precious Paws. We are fully qualified and insured and cover Chertsey, Ottershaw, Virginia Water, Egham, Weybridge, New-Haw, Addlestone, Thorpe, Woking and surrounding areas. Please note that dogs will need to come to Precious Paws for an assessment by Leon before any boarding services can commence. We ask that you fill in our comprehensive client pack and that your dog’s vaccinations, flea and worming treatments are veterinary issued and up to date.